It is situated in the land of town Kostinbrod close to Sofia and was approved by the Customs Agency with a report from 21.01.2011, as meeting all requirements of Regulation № 3 of 19.02.2010 and Excise Duty Act and tax warehouses. Pumping station: 5 pumps and 2 compressors – constructed. Filling and discharging skid for 2 trucks, equipped with systems for blending and additivation of products – under construction. 2. 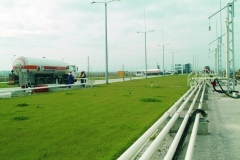 LPG tank park – 7600 cubic m. ( 19 x 400 cubic m.) – under construction. 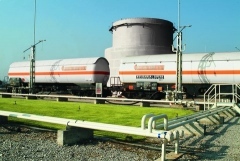 Gastrade SA became the operator of “LPG storage facility” – Gorna Oryahovitsa. 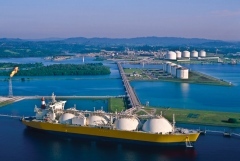 At the end of 2013 Gastrade SA became the operator of the LPG storage facility Gorna Oryahovitsa. 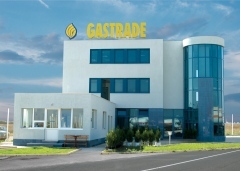 At the end of 2013, Gastrade SA purchased a “LPG storage facility”, together with its propane-butane tanks (3 x 200 m3 with a total geometric volume of 600 m3) and the adjacent ones Equipment and undertakes the obligations of an operator of “Warehouse for propane-butane” – Gorna Oryahovitsa. 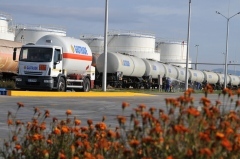 “Warehouse base for LPG” – Gorna Oryahovitsa with operator “Gastrade” SA is a licensed excise tax duties warehouse.